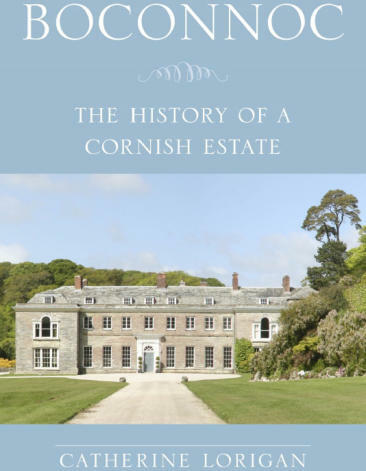 The story of the estate at Boconnoc, situated near Lostwithiel in south-east Cornwall, is an extraordinary one. As this history demonstrates, members of the Cornish families who have owned the estate over many centuries have played important roles within the immediate locality and in national events. The book explores their eventful lives – or in many case deaths: dragged over a cliff by greyhounds, slain in battle, executed for treason or killed in duels. The way in which the medieval fortified tower house evolved into a Georgian mansion is traced, the author discusses how the grounds and gardens have been transformed over the centuries and the relationship of the estate with the agricultural and industrial landscape in which it is set. Still family owned and run, Boconnoc retains the qualities that give it its magical and timeless ambience, while simultaneously, it has become a dynamic and successful business for the twenty-first century.